Reading yesterday in the 28th and 29th chapter of Jeremiah about a distressing situation that prophet encountered, I was reminded that God’s true ministers of today face that same dilemma. Permit me to explain: A self-proclaimed prophet of God by the name of Hananiah affronted Jeremiah in the presence of the priests and the people by preaching an entirely different message than the Lord’s true prophet. At the time, the king of Babylon had taken the king of Judah, his officials, and many other Israelites back to his own country as exiles. This came about because God’s people, in general, had strayed from Him. Well, Hananiah was prophesying that within two years ,the exiles plus the temple articles that were taken to Babylon would be returned. Jeremiah knew this message was false but made it known that although he wished it were true, it was not. God’s prophet was well aware that his message was not as popular and as happily accepted as Hananiah’s, but he remained true to the message God gave him. counsel of God, not just the sweet sounding themes of the Bible which some of today’s preachers specialize in. The truth is that, in the end, all things will work together for good to those who love God, as Romans 8:28 tells us, even though we may have to travel through many valleys in our lives in the meantime. And Jeremiah’s word to his people was not all gloom and doom as many would have wanted others to believe. 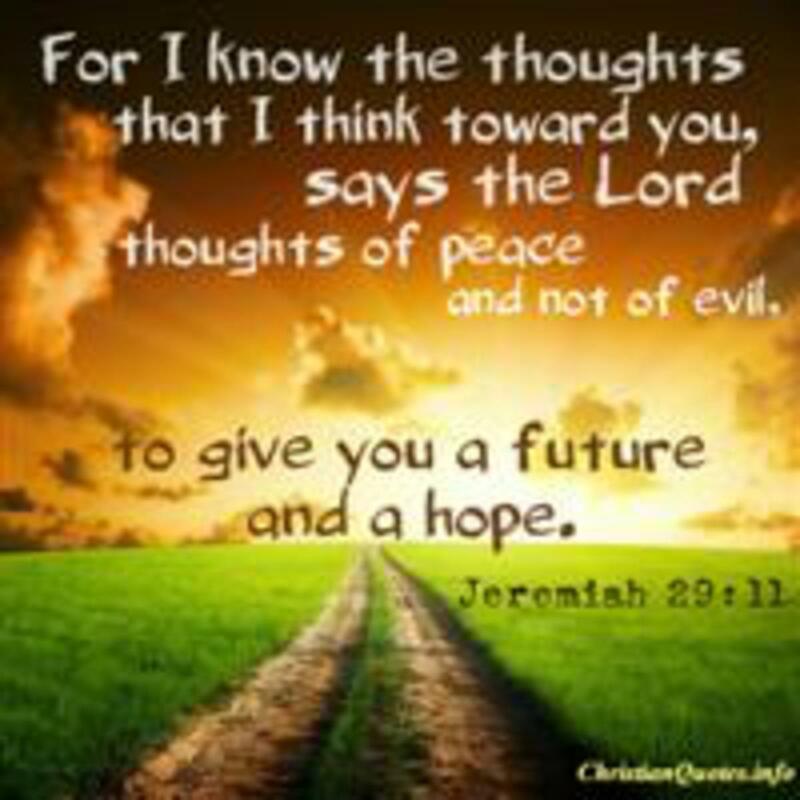 In the middle of his message and instructions from God to them, were these words: “For I know the plans I have for you, declares the LORD, plans to prosper you and not to harm you, plans to give you hope and a future.” (Jer. 29:11) Doesn’t sound depressing at all, don’t you agree? The truth is that this particular bible verse has been a source of hope and comfort for God’s people for several centuries. I trust it has the same effect for you today because, after all, the promise is for you too.